Yesterday it was autumn and today, suddenly June. Marostica is the city of cherries. Along the road, at every stony terrace, at every path that goes into the countryside there is an ambulant with basket full of red fruits. And cherry trees. And then those clouds that tear themselves in the light blue of the sky. The alpini in the square plays the Italian hymn. Marostica is a strange turning point. The mountains of the last week begin and today they go up to Madonna di Campiglio. I’ve heard that somebody wouldn’t go there because that place reminds too much Marco’s unjust humiliation. Maybe it’s true. Nevertheless every place deserves a ransom, as people should deserve it, above all the ones unjustly accused or with too much cruelty by a society unable to be objective. Someone yes, someone not. Two weights two measures. It’s typical. And even cycling, sometimes, stumbles in this all. Today too. Where is decided in a strange way who comes in and who doesn’t. I can’t stand some injustices veiled by do-goodism. But not on me, on the others. Is on the others that it drives me mad the most. I’ve been like this since I was a baby. And maybe kilometres, trips, on trains or on buses wouldn’t be enough to weaken this rebellion. Luck that, among every ceremony, the heart of everything are the racers. Those who smile and have the time to stop to sign autographs, to ask how are you. They who will have to start off, who tonight will have broken legs and they who know that yonder there will be just one king, the others would have only make an effort. Effort. 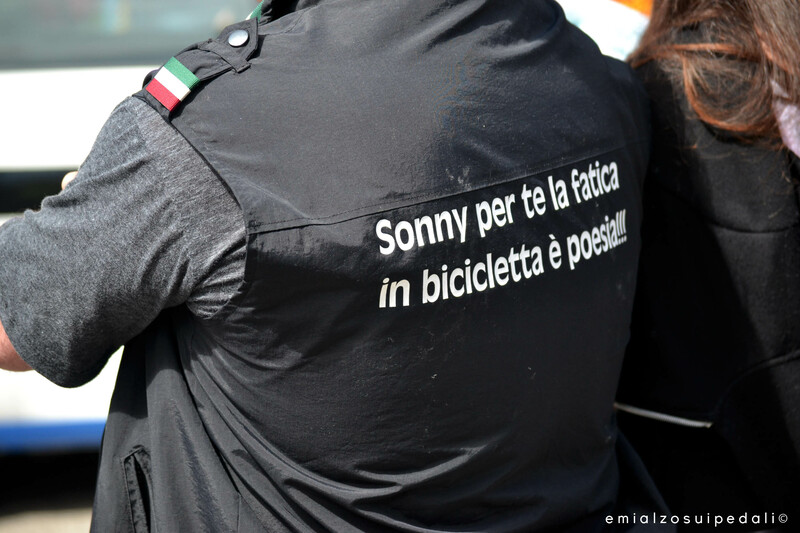 “Sonny, per te la fatica in bicicletta è poesia” there was written on a t-shirt of the several fans club that roam around the busses today. 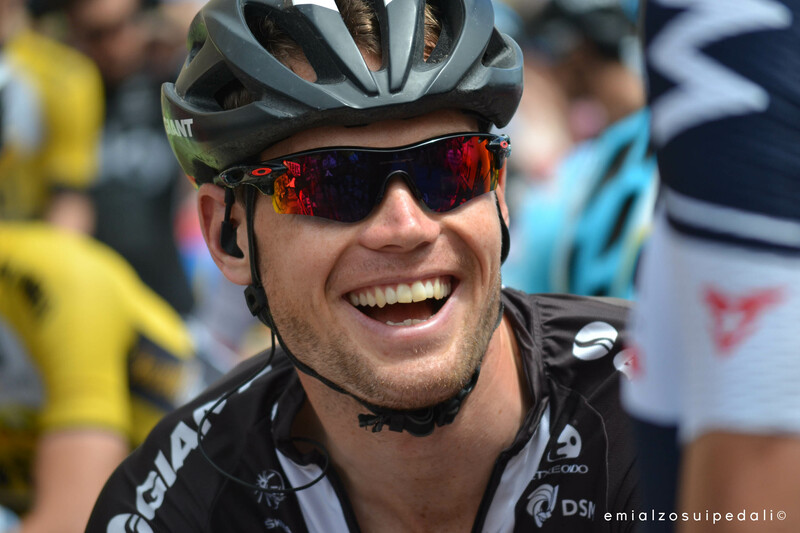 Are only a few the thing needed for this sport to keep being really in the heart of the crowd: the smile at the start, even just a smile, and the grimace of fatigue at the finish line. All this procures love. The real one. The rest is like those little chains that seem gold but in reality they are just moistened. Just a bit of sweat is enough and then they come back as they were. Tin. Like the ones stacked up into the too full bins after the transit of the Giro.